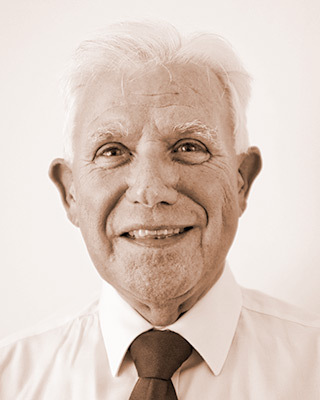 Joe started his 50 year career as a time served Ship Draughtsman, becoming a Naval Architect and progressing to Design Manager for a major shipbuilder, hence he has a wealth of practical knowledge both in the Shipbuilding and Ship Design processes. Prior to joining Safinah he spent over 20 years in consultancy as Naval Architecture and Structures Manager and Technical Authority responsible for Whole Ship Design. As well as the Naval Architecture and Structural Engineering processes, Joe has an extensive appreciation of the Electrical and Controls Engineering and Marine Engineering processes and how they interact/impact within the overall Ship Design process and therefore how that process is best managed. Joe has been project and technical lead responsible for numerous large ship design studies and builds, both commercial and naval ships, such as: Container Ships; Bulk Carriers; Oil Tankers; Car/Passenger Ferries; Car Carriers; LPG Carriers; Helicopter Carriers; Landing Ships; Offshore Patrol Vessels; Auxiliary Support vessels; Landing Craft; Survey and Polar Research Vessels; Diamond Mining Vessels, Pipelaying vessels; FSOs; FPSOs; FLNGs; Flotels; Transportation Vessels; Semi-submersibles; etc. In addition to new-buildings, he has been responsible for many upgrades and conversions, as well as undertaking numerous Inclining Experiments, Sea Trials etc. Joe is familiar with the Rules and Regulations, such as IMO, Flag State and Classification Society (LRS, ABS, DnV and BV) and spent 15 years as a member of the Lloyd’s Register’s main ship Technical Committee. He has supported many investigative processes with regard to failures in the structural process and how they can be best rectified. In the early years of FPSO design, conversion and new build, Joe presented a paper at a Paris seminar which addressed the Naval Architectural, Structural Engineering, Marine Engineering and Electrical Engineering aspects.